Join us on Saturday, April 9, 2016, for the first ever CAMP Ranking System Level I Seminar. 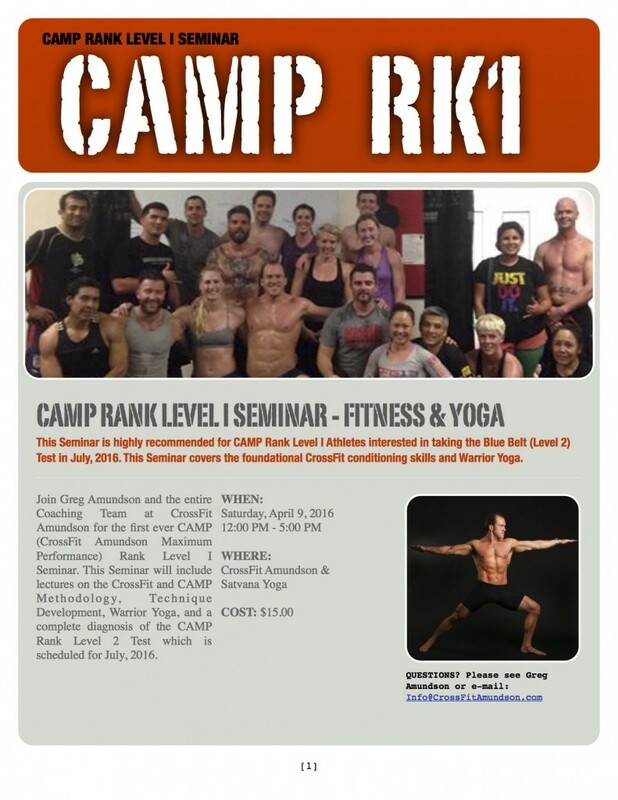 This seminar will include lecture on the methodology of CrossFit and CAMP, instruction on foundational CrossFit skills, a complete diagnosis of the CAMP Rank Level 2 Test, Warrior Yoga, and workouts. This Seminar is highly recommended for Athletes interested in taking the Blue Belt (Level 2) Test in July.